RE: This book is an absolute MUST READ for any entrepreneur to gain the clarity & results amplifying strategies you can implement RIGHT AWAY! 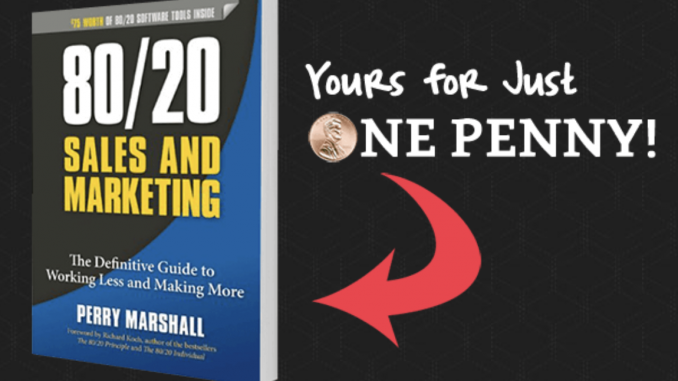 Perry Marshall's book “80/20 Sales & Marketing” is a true game changer that many well known leaders are RAVING ABOUT and you can buy it NOW for ONLY 1 penny plus shipping. Instead of paying $22 in the bookstore or $18 on Amazon, you basically get it for 7 bucks including shipping. This is not just another marketing book by the way. 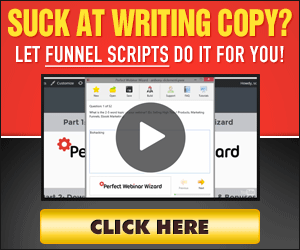 The guy who famously cracked the code on Google advertising insists that the 80/20 rule – the adage that 20% of your effort produces 80% of your income – is really the #1 secret to everything. Then he unpacks it like you've never seen before anywhere. I can attest, he takes 80/20 to a level no one else has ever taken it. And can also share that from immediately taking action on some exercises he includes in this book, it gave me a level of clarity and knowing that I had been seeking, which after implementing has produced SIGNIFICANT results for my business. The ROI this book has produced is OFF THE CHARTS. Perry's new “80/20 Sales & Marketing” is a groundbreaking work, offering immediate tangible insights to *exactly* where you are leaving money on the table. It will embolden you to sell more products at higher prices and satisfy the cravings of your best customers.